Technology has come a long way in recent years, from the newest smartphone gadgets to even developments in the mattress industry. Next time you’re on the lookout for a new bed, ask the salesman about these new developments – you’ll be amazed at what’s available. Gone are the days where we would sleep on a mattress made of straw – today’s technology has guaranteed we’re having a more comfortable night’s sleep than ever. The beauty of memory foam is not just the way it feels but the revolutionary way in which it moulds to your body and returns to its original firmness once the pressure is released. 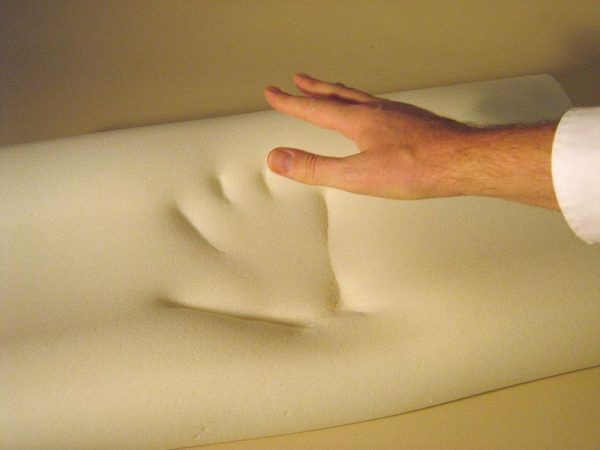 Memory foam is temperature sensitive and reads your base temperature to relieve pressure on key parts of your body. The breathable technology has come a long way since it was first invented by scientists at NASA, with eco-friendly versions now available. Unlike regular synthetic mattresses, developments in technology have given us a hard-wearing, breathable fabric that will not break down easily. Latex provides more support than a traditional mattress thanks to its highly elastic, buoyant texture and will guarantee a better night’s sleep thanks to the user not having to toss and turn so often. Latex comes in many different forms including Talalay and Dunlop. While the Talalay process involves removing air from flash frozen foam, Dunlop mattresses skip this stage, giving you a denser, firmer and longer lasting mattress. Both techniques are great for breathability and prevent bacterial growth thanks to their advanced moisture management. Breathability in mattresses has also come a long way too – while many sleep sufferers would complain of waking up in the night from being too hot, today’s temperature regulated material has changed all this. The Outlast fabric system, for example, regulates the user’s body temperature while he or she sleeps, absorbing heat if temperatures are too high and releasing heat if the user is too cold. Meanwhile, those who struggle to breathe during the night can try the Breasley 37 Degree system. The newly developed technology features a micro moisture management system that contains 7cm of the aforementioned memory foam, which improves air flow around the body and is perfect for asthma suffers. By choosing any one of these new mattress technologies, consumers can improve their sleep cycle through undisturbed nights and also reduce their carbon footprint by choosing organically derived, longer lasting products. Previous story [CLOSED] Giveaway: Hexnub’s Sphero Covers!